In a medium bowl, stir together the flour, cocoa powder, baking soda, baking powder and Pacific Fine Sea Salt. Set the mixture aside. In the bowl of a stand mixer fitted with the paddle attachment, cream together the butter with the Tawari Honey until light and fluffy, about 2 minutes. Add the eggs, one at a time, beating until combined and scraping down the side of the bowl as needed. Beat in the vanilla then alternately beat in the flour mixture and the milk, starting and ending with the flour mixture. 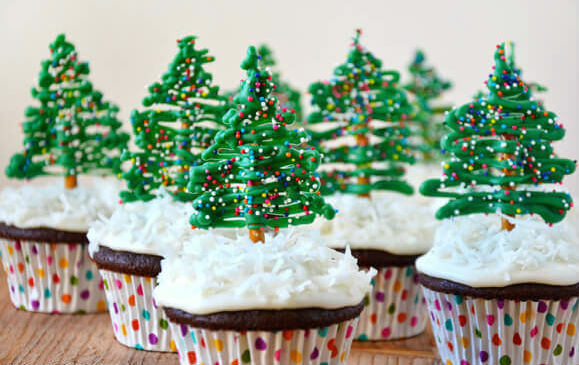 Spread a small portion of the frosting atop the cooled cupcakes and immediately *sprinkle it with the coconut flakes. *The cream cheese frosting will set slightly over time, so it’s important to frost the cupcakes and then immediately sprinkle them with the coconut. *Coat the measuring cup with oil before measuring the honey to prevent it from sticking to the measuring utensil.